On this episode I am delighted to welcome my first guest from the Philippines, Eric Chao. Eric brings a fresh new perspective on traveling to Paris for the first time and mentions ideas I have never considered! 12 Tips for Visiting Paris You Should Actually Use! 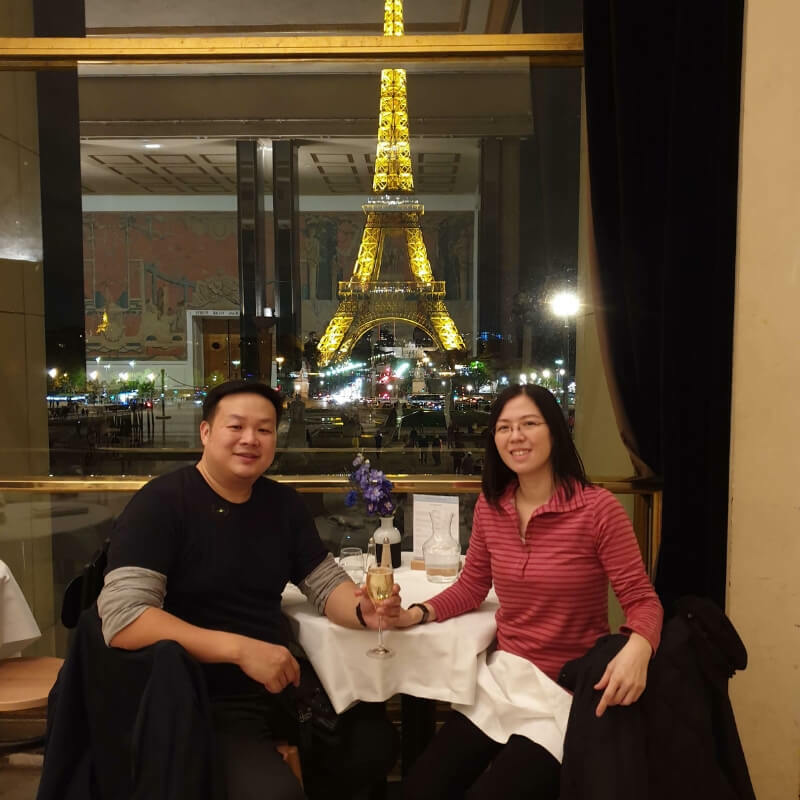 Eric and his wife visited the City of Light between Oct 27 and Oct 31, 2018. He started listening to the podcast after the plans were made, but he went through as many episodes as possible. Those episode helped him get familiar with the "biggies": all the things that trip-up uninformed visitors. 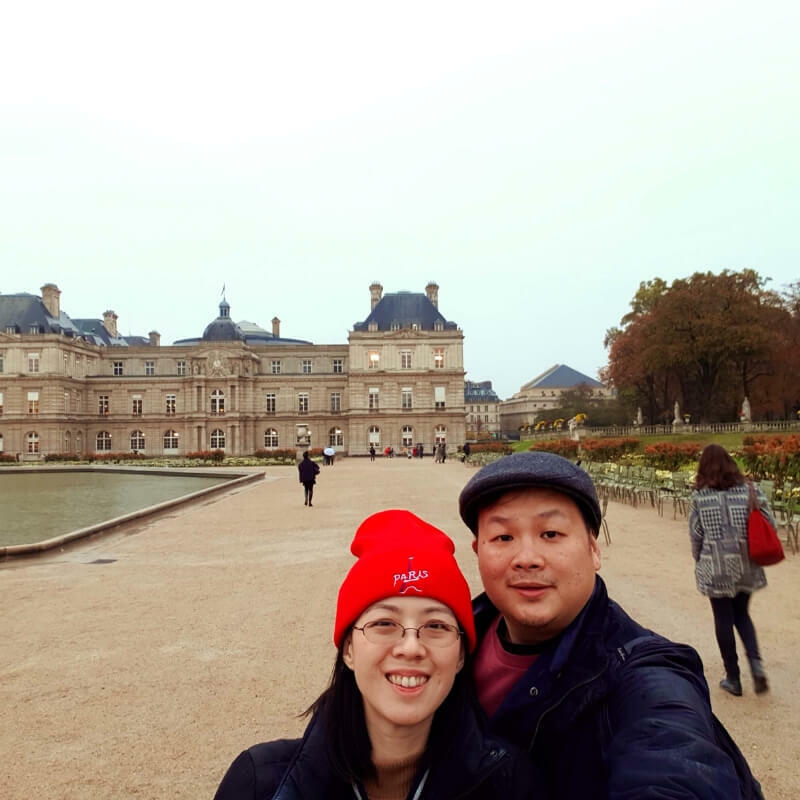 But while on his trip he noticed even more things that are confusing to first-time visitors to Paris and those are the ones he shares with us today. When you arrive in Paris with suitcases is not the time to figure out the public transportation system! I always suggest taxis. Eric decided to try public transportation and he explains how that went badly. I am not surprised, especially since they were arriving at Gare du Nord from London. 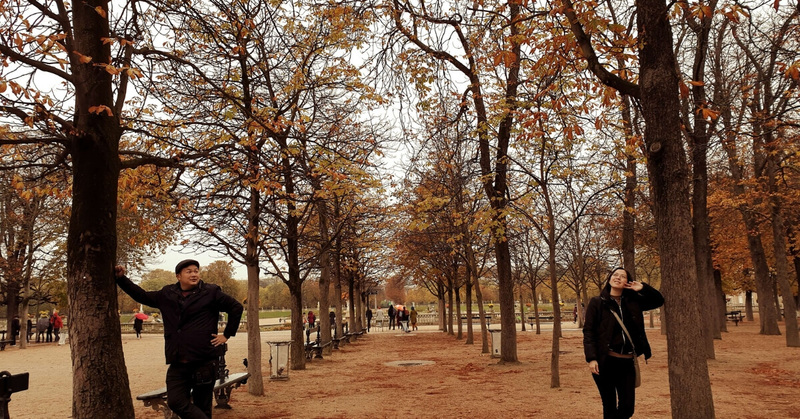 This is a rookie mistake you should not make when arriving in Paris! On one-way streets for cars, it is possible that buses will run in the opposite direction because they use separate bus lanes. You need to pay attention to the final destination of the bus displayed on the bus. All bus stop names are unique, but some are long hyphenated names that may seem the same at first glance. 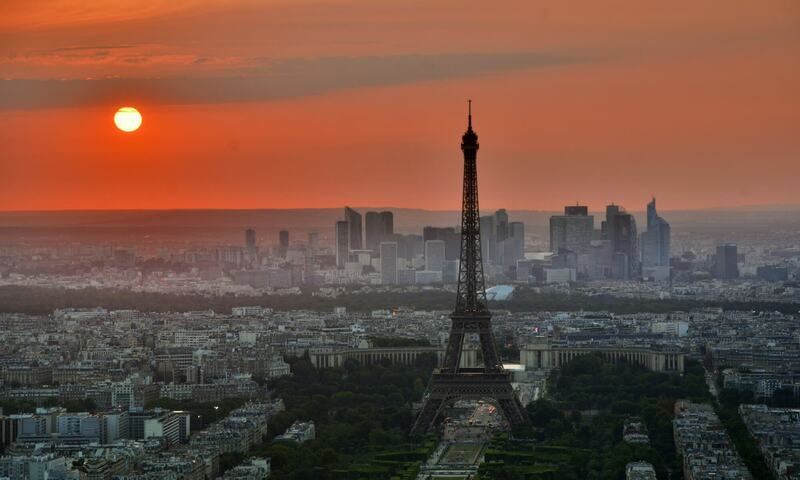 Everybody wants to know what restaurant has the best view on to the Eiffel Tower! Eric mentions Maison Pradier in the Foyer Chaillot. He reports great food (better than at Les Deux Magots anyway), great service and an amazing view. See the show notes for a photo. The Palais de Chaillot is part of the Trocadero, really easy to find! It is not necessary to speak French to have a great time in Paris. What you need to do is train yourself so the first word out of you mouth is always "bonjour". That's it. Say "bonjour" first. And then switch to English. By the time you are done saying the word "bonjour" they know you're not French. So no need to say "je ne parle pas français" or whatever. The magic word in France is always "bonjour", use it liberally. And have a friendly demeanor, that never hurts as well! Should I Worry About Credit Card Fraud in France? As a side note to our conversation, Eric mentioned that he used cash a lot in Paris because he was worried about credit card fraud. 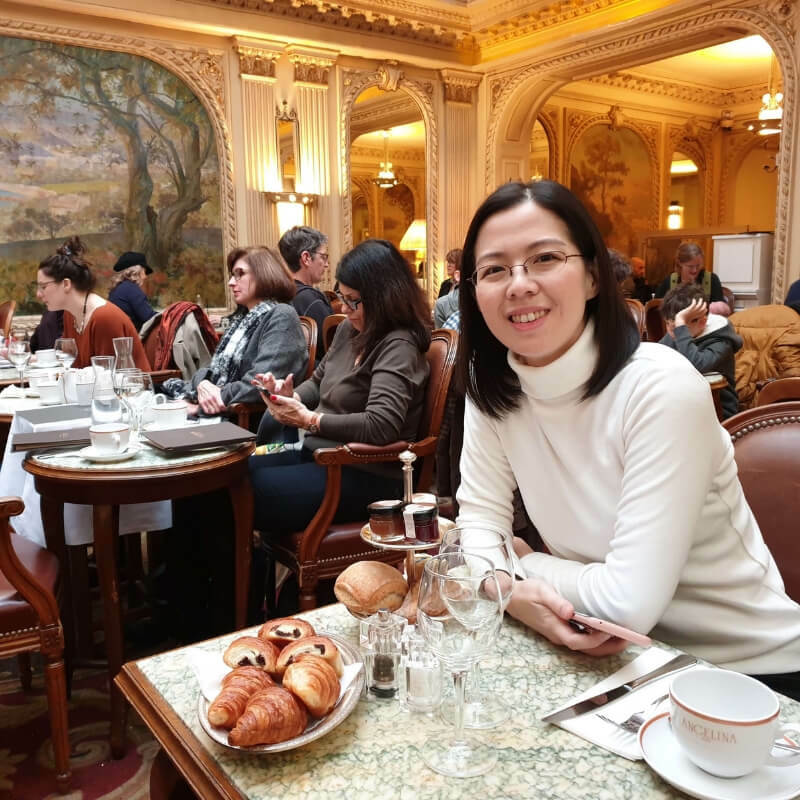 You must know that of all the ways you might get ripped-off while on a trip to France (we also mention scams later in the conversation) credit card fraud is not the one that is likely to happen. Thieves can't do anything with your credit card number alone. They also need your address, the expiration date, and the security code for an on-line transaction. Those things do not appear on a credit card receipt. But, you must do what feels comfortable and safe to you. I wish I had thought to mention this in the episode, but I didn't. I think it is vital that you don't carry all your credit cards in your wallet all at once. Only carry one and a little bit of cash just in case. #5 If You Can't Say It in Words, Take a Picture! A few shows back I talked about a person who had a terrible time in Paris. 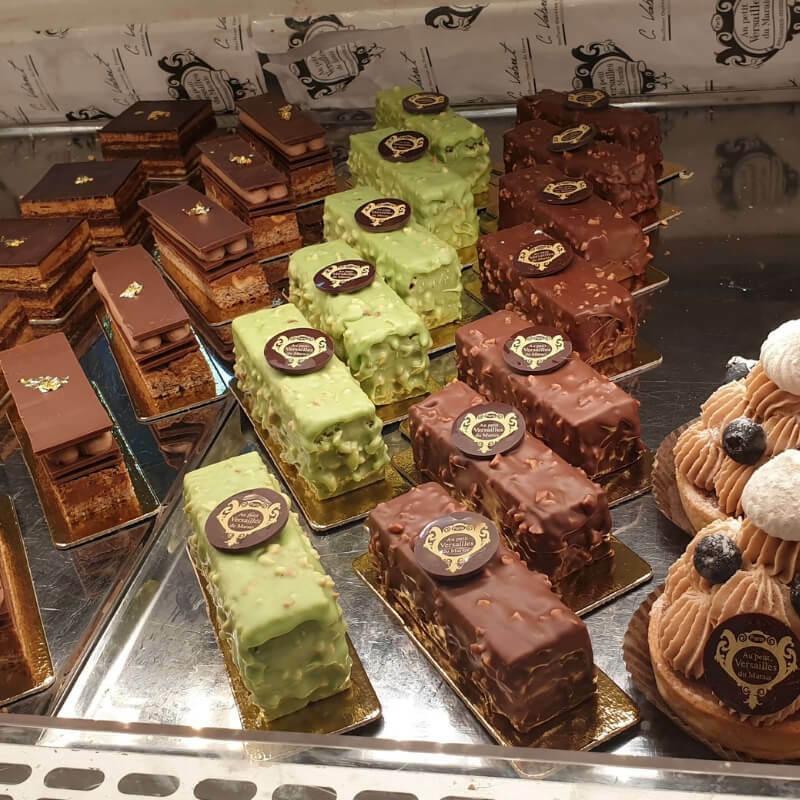 One of the things she hated is that when waiting in line at a busy bakery, she could never explain what she wanted fast enough and French people went ahead of her. Eric found the perfect solution for this: when in line at the bakery he would take a picture of the items he wanted to buy. Then all he had to do is show the photo to the person serving him. Problem solved! 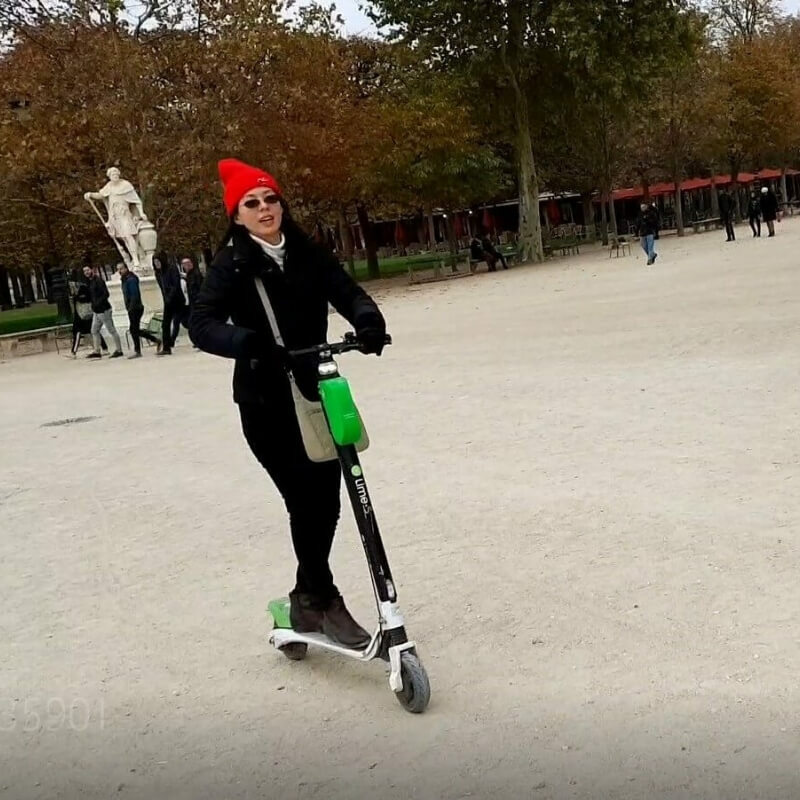 Eric's wife tried one of the scooters you now see all over Paris. He explains some of the things they found out about the rules. I'll have to try one next time I am in Paris! #7 Museum Pass : Worth It! I have no affiliate relationship with Museum Pass, but I recommend it all the time because it is great and saves you a lot of time! Eric agrees, it was worth it and he explains why. We also touch on the length of the security line at the Orsay Museum and a what you need to know about visiting Les Invalides. There are many Angelina's restaurants around Paris. The one on rue de Rivoli is lovely, but don't waste hours if there's a long line and you didn't make a reservation. Ladurée is also super popular, but unlike Angelina's, they don't sell all their items at every store. Also, Ladurée was started by a French person in the Philippines! I didn't know that! Now for a place that's less famous and really nice, Eric recommends Fabrique Givrée near the Luxembourg Gardens. He loved their caramel sauce and bought some (after asking for a discount!) to take home as gifts. They even met the owner! 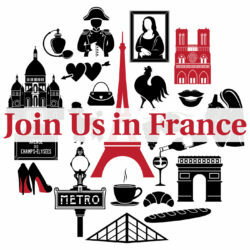 When you come to France you may want to try some of our specialties. Be mindful that Beef Bourgignon is not on the menu at every restaurant in France. Eric recommends the restaurant Au Bourgignon du Marais. It's pretty hard to miss in the Marais but I've never eaten there. They had a some great duck at Maison Plaisir. 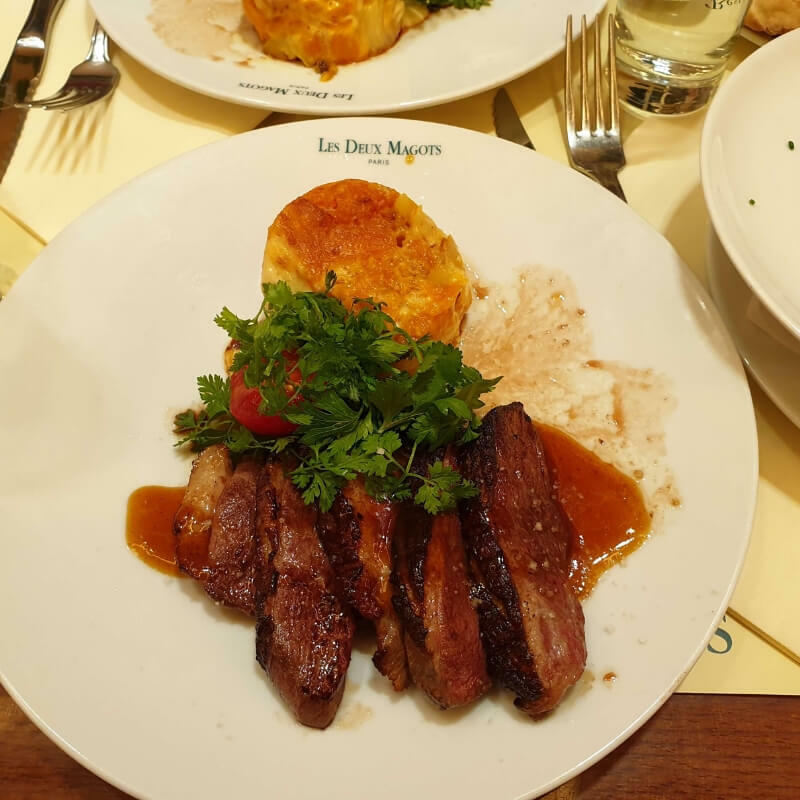 They also had the duck at Les Deux Magots but it was a not as good there. Remember: famous restaurants don't have to try as hard, they will fill all the tables even with meh food. There are scammers in Paris. We've talked about it often, for example here and here and here. In the show notes you can see the photo of scammers Eric took outside of the Opéra Garnier because he knew what to look out for from listening to the podcast. But is seems that scammers are getting more aggressive, especially around the Orsay Museum. He reported this and he's not the first to do so. Be careful that they cannot "pin you" between the cars and a building. Walk in open areas as much as you can so you can get away from them without talking to them. This is one instance when you DON'T want to say "bonjour" and engage conversation! Paris never used to have a City Police. They had National Police and higher. But National Police doesn't want to mess with petty criminals. That's why these scammers were allowed to continue. The Mayor of Paris has announced that she will recruit a group of city police officers and I hope one of their duties is to rid Paris of the scourge of scammers of every sort. Most people who come to Paris for the first time decide on where they are going to go based on how famous a place is. There are famous places in Paris that are NOT worth it, especially if your time is limited. You want specifics, don't you? Here are two of them in my opinion: for most people a visit to Montmartre is a waste of time. It's to far and it's too touristy. Too many scammers in Montmartre too. Also, most people are now wowed by the Champs Elysées. Unless you're Scott, you love the Tour de France, and you really want to see it. These are the two I think you can safely skip even though I know they are super popular. I'm French, I've been to Montmartre and the Champs Elysées lots, they're not as good as Opéra Garnier or even the Bâteaux Mouches! You can see the best Paris has to offer in 5 days. Shorter is not ideal. And Eric also mentions that there are European capitals that are not as nice, so don't spread yourself too thin. Get travel insurance. This is not an affiliate recommendation, I don't stand to gain anything from recommending that. But flights get cancelled and then what do you do with changing all your plans? And if you do get travel insurance, save your receipts.